Colin Warrington originally trained as an architect but ended up going into the family construction business so has never really lost the architect student’s ‘anything is possible’ design approach. 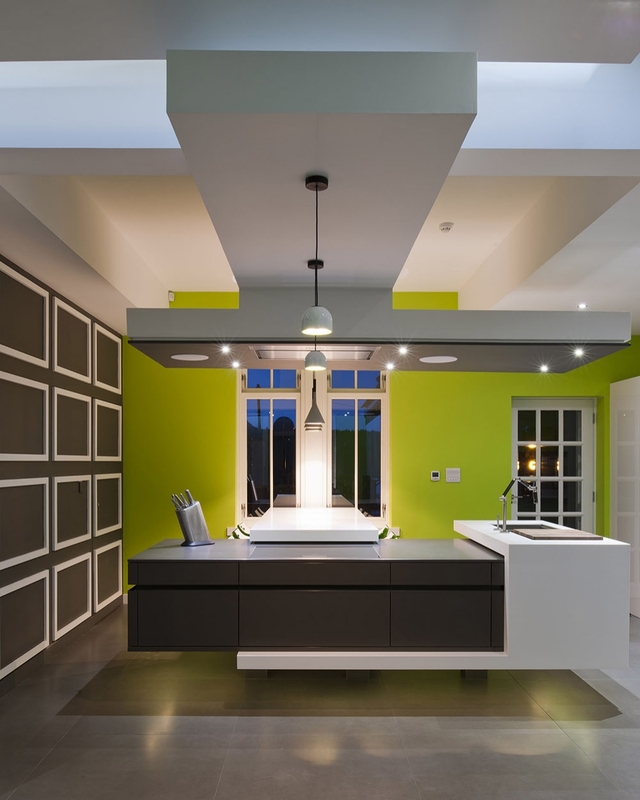 This resulted in a very interesting brief as Colin is fascinated by sculptural and minimal design work that seems visually impossible so his brief was essentially to create a kitchen that looked nothing like a kitchen! He wanted to see floating elements, wrapping details, cantilevers and clever interplay with shape and design. In essence his brief was a designer’s dream and we instantly felt a certain affinity with his ideas and principles. Given the sculptural elements of his brief it was clear a centrepiece to the room was required. 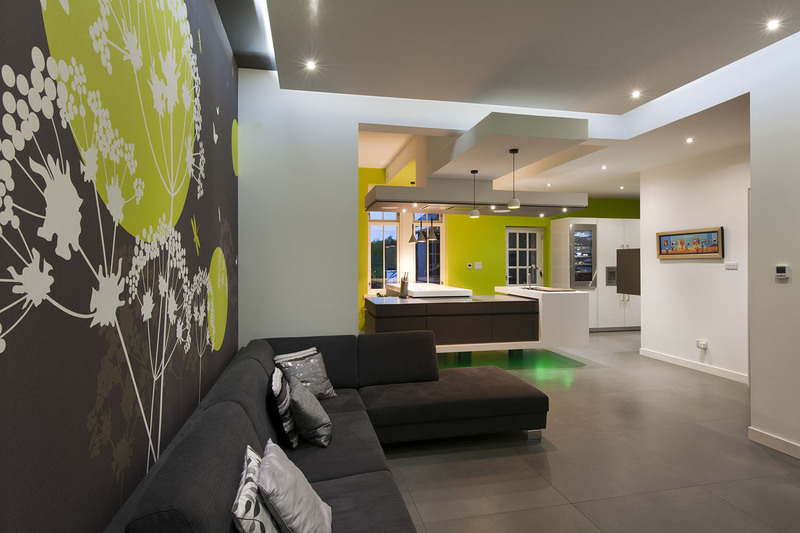 A series of small rooms were connected together to form one space which would give the Warrington's the chance to stand back and view the design as a whole kitchen/living room. 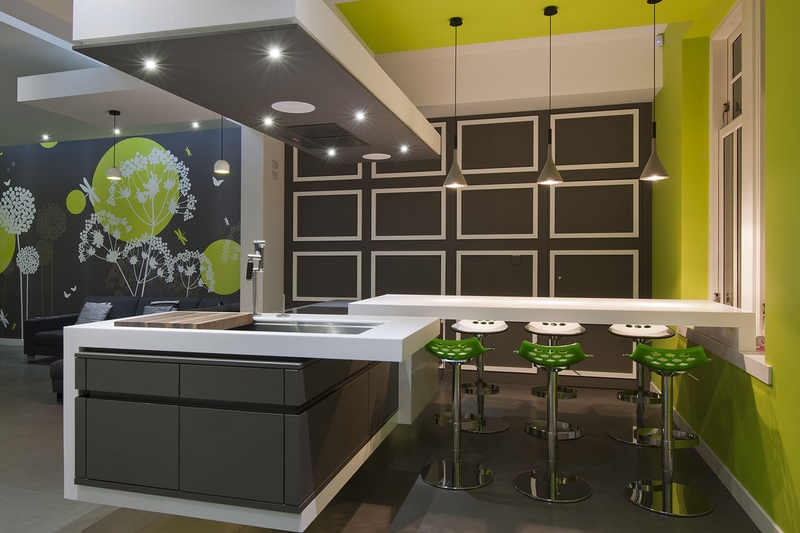 All standard approaches to kitchen planning were eschewed and no base units at all were placed around the walls, making the visual dominance now the island. 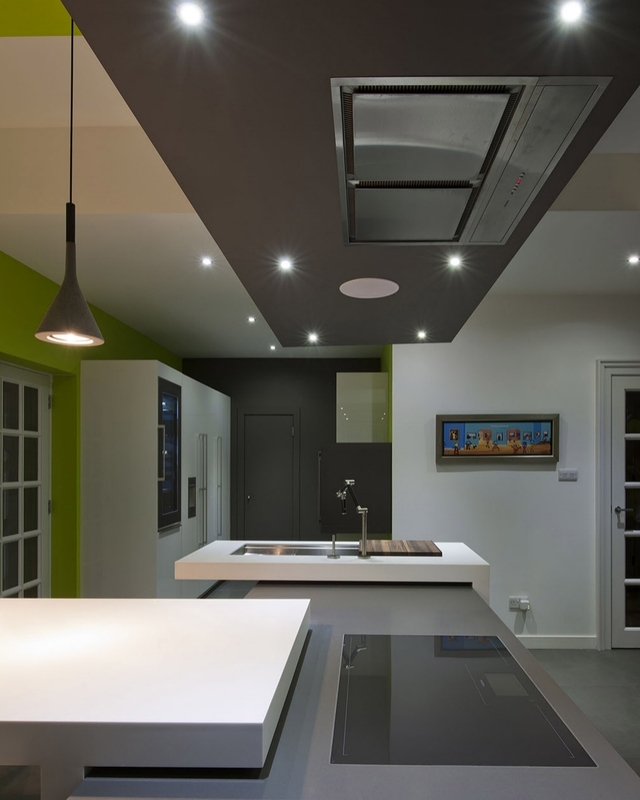 As the centrepiece of the room and this striking design, the island had to incorporate prep space, cleaning space and cooking with the relevant storage as well as informal dining for six. 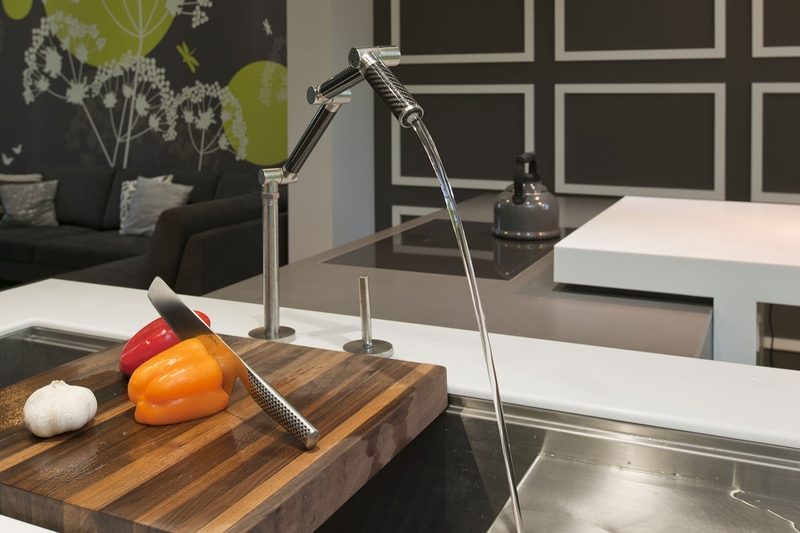 We chose a Kohler sink which provided the perfect prep space and large cleaning station all in one design. Tall areas of storage and appliances were located within reach of the cook but positioned so they were largely out of the limelight. 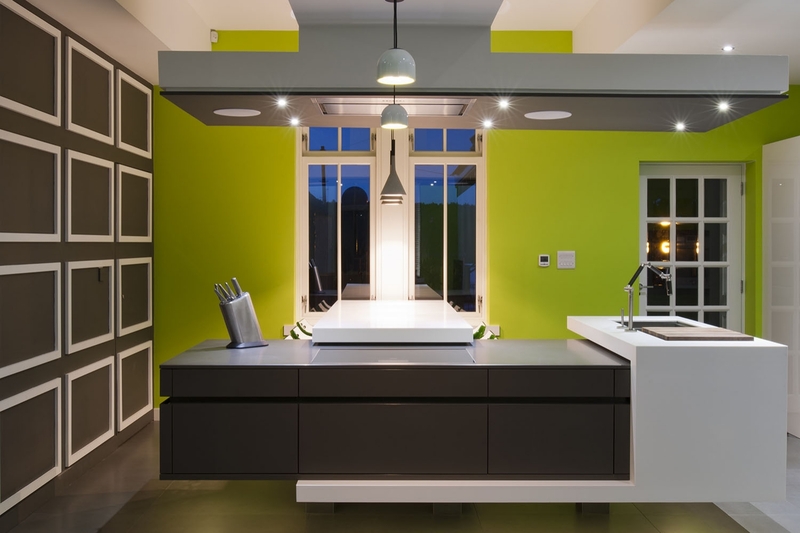 If this is not complicated enough we decided to ‘hang’ the whole island – a steel skeleton started at the window ledge and continued to the end of the island balancing it to give the floating feel. 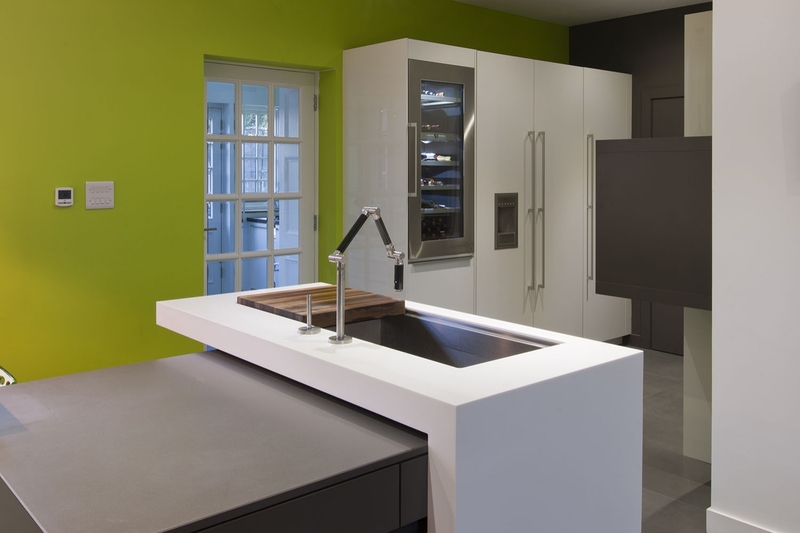 There was no tolerance anywhere and the whole Corian structure had to be pre-fabricated to the millimetre. 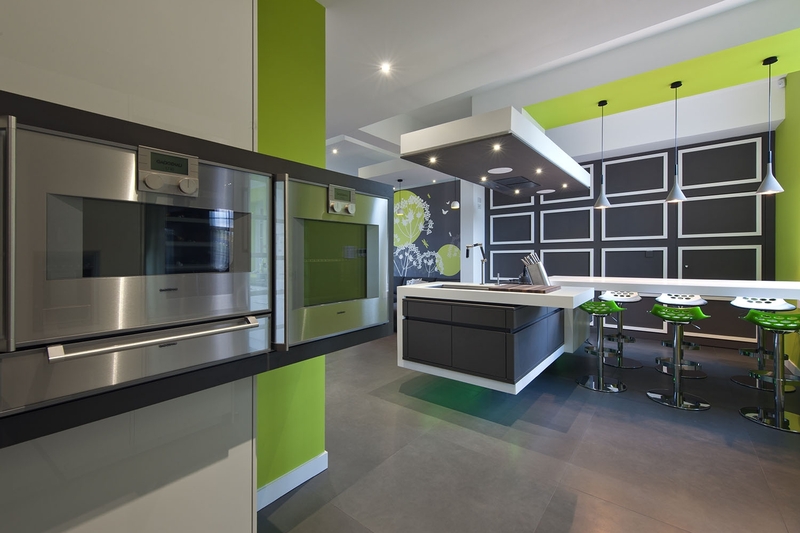 Leicht Avance units in Lava were chosen to contrast with the Gravel grey quartz worktops by Zodiaq and the glacier white Corian, as well as the bright lime green accent walls and under island mood lighting.